As the busiest Long Beach marriage officiant I have been the wedding officiant at almost every wedding venue in Los Angeles and Orange County. Some of those weddings were the Queen Mary in Long Beach. Just point, you can’t miss the ship! The Long Beach Queen Mary Hotel, is a historic attraction and frankly, an institution. Long Beach and Queen Mary are synonymous. A wonderful Long Beach wedding venue, the Queen Mary has history, a wedding chapel, a wonderful view and a ballroom that can cater from 50 to 500 wedding guests. Your Long Beach wedding will be a spectacular one here. The Queen Mary has hosted stunning and unforgettable Southern California Long Beach weddings for over 70 years. 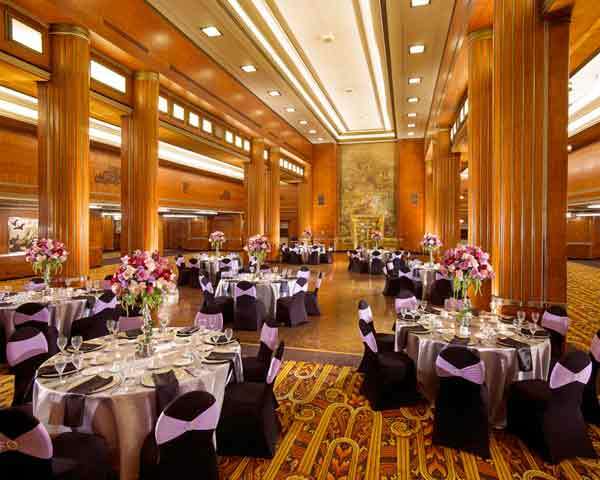 Your reception can be in one of fourteen Art Deco ballrooms and salons with exquisite wood paneling, original Art Deco light fixtures, etched-glass doors, and countless touches from a bygone era. Your celebration can be as large as 600 guests. Your on-site wedding planning expert will assist with your theme, decorations, seating plans, catering, music, photography, and every other important detail to ensure your wedding dreams come true. After your wedding ceremony and reception have completed, you and your guest can retire to your elegant 1930’s era Art Deco staterooms. And the Queen Mary offers each newlywed couple their own romantic stateroom. 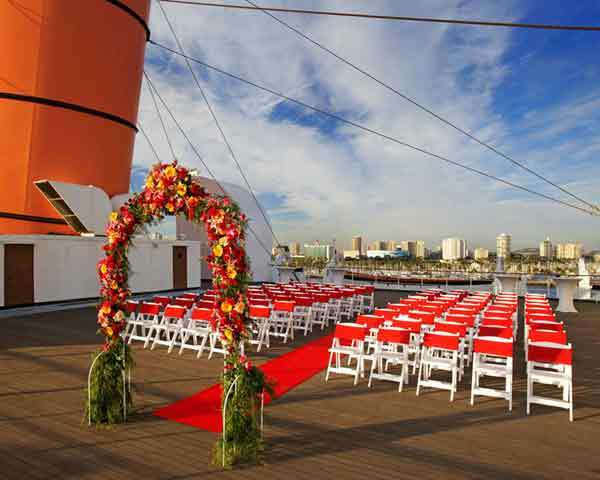 When you are planning your wedding ceremony and reception in Long Beach or anywhere else in Southern California consider the luxurious and historic Queen Mary as your wedding venue. And please consider this wedding officiant, the Officiant Guy, as your Long Beach ordained wedding minister. Chris has been a wedding officiant for over 20 years. He’s worked with engaged couples from all over and has earned the faith of numerous husbands and wives as he is a marriage-license-issuing notary, in addition to an ordained minister, and a lawyer.